Voting is underway in today’s historic parliamentary elections, with high hopes for peace and reconciliation for all citizens of Turkey. No matter the outcome, Hasankeyf will remain under threat of flooding until a compromise solution is agreed by all parties concerned – national and regional policy makers, local residents, etc. 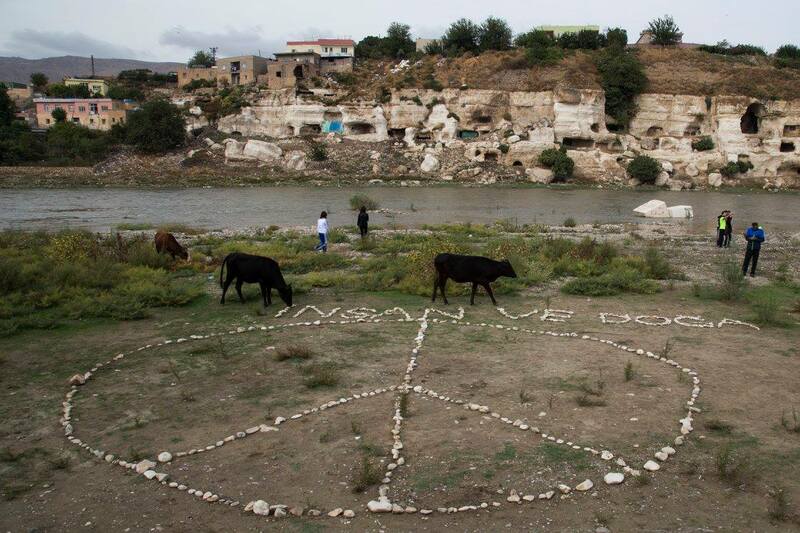 Construction of the Ilısu Dam has halted temporarily, opening a window of hope for a brighter future for Hasankeyf. However, in the event that the Ilısu reservoir does not flood Hasankeyf, uncontrolled property development and commercial activity could severely and irreparably damage the cultural and natural heritage of the site. Write letters and network with politicians, activists, social entrepreneurs and business executives to keep Hasankeyf top of mind during the countdown to the 40th meeting of UNESCO’s World Heritage Committee in Istanbul in July 2016. Build a “dialogue around heritage” where stakeholders from across the political spectrum can share ideas for strengthening peace through environmental sustainability. Put forward detailed models for managing Hasankeyf‘s cultural and natural heritage in an environmentally, culturally and economically sustainable manner. 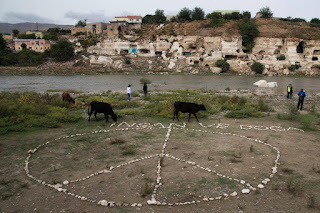 The seeds of dialogue are already in the ground, and a variety of organizations (governmental and non-governmental) are working to encourage all to take a second look at Hasankeyf. In 2011, state-owned Turkish Airlines (THY) mounted a publicity campaign to increase awareness about Hasankeyf as an international tourist destination. Since 2013, the District Governor of Hasankeyf has sponsored a number of improvements, including the construction of a telegenic open-air amphitheater (with Hasankeyf’s legendary skyline in the background). Working in cooperation with DİKA (The Tigris Development Agency), the District Governor has also begun to develop a network of ecological villages emphasizing local garden produce, culinary traditions and handicrafts as the basis for tourism. By continuing to build a truly open dialogue around heritage, people of varying perspectives and philosophies can come together to share different visions of past, present and future in Hasankeyf. HK Matters team, thanks for the update on the campaign to save Hasankeyf and the suggestions on what we can be doing to participate. Right now, it seems that the most important step to be taken is for the guns to go silent. Only then will this treasure of southeast Turkey be able to be properly appreciated.